“We will strengthen our relations with China, they have given us a chance by investing in the CPEC, and we also want to learn how to improve people’s lives, drag them out of poverty. Will also learn how to deal with corruption”. These were the first words that Pakistan’s Prime Minister-elect, Imran Khan, dedicated to China in his speech on the 26th July, as the voting results of Pakistan’s 2018 elections were still coming in. The same message was also tweeted in Chinese by his party (the Pakistan Tehreek-e-Insaf (PTI)). The reassurance about the new government’s commitment to ensuring continuity in Sino-Pakistani relations was welcomed by Beijing, which stressed that regardless of the domestic political situation, Sino-Pakistani relations would remain unchanged. 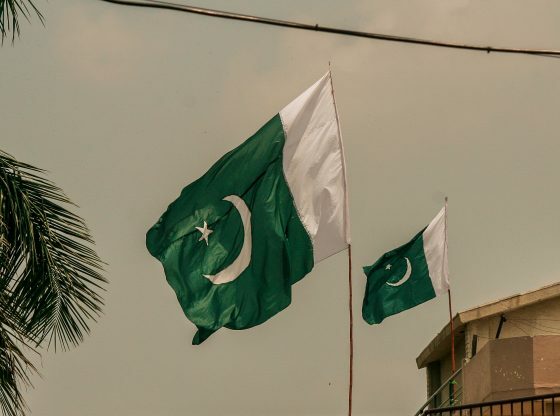 Overall, China and CPEC featured prominently in Pakistan’s 2018 elections campaign. As a close observer of Pakistani politics noted in an interview with the author, ‘CPEC is the buzz word and political parties claim credit for CPEC. The Pakistan Muslim League-Nawaz (PML-N) in public gatherings say that it is their idea and gift for Pakistani nations. While on the other hand PPP claims that it’s President Zardari’s initiative’. Although the PTI was quick to fully endorse CPEC and Pakistan’s relations with China as the elections were approaching, was initially more cautious about China’s investment in the country. Against such a backdrop, how will the transition from the PML-N to the PTI play out? China’s close ties with the PML-N do not necessarily imply that the situation will change dramatically under the new government. After all, Sino-Pakistani are based on a broad-based consensus in Pakistan which encompasses all major political parties as well as the military. Notwithstanding its cordial relations with all parties throughout recent years, China has made no secret of its preference for the PML-N. In 2016, stressing the performance of the Punjab government in executing the CPEC projects, the Exim Bank Chairperson, Hu Xiaolian, said that “Punjab speed” was rapidly replacing “Shenzhen Speed” a phrase used in China to epitomise rapid development. In addition, other two episodes capture China’s productive collaboration with the PML-N. First, Chinese pressures to have the then Minister for Planning Development and Reform, Ahsan Iqbal, reinstated after he was transferred to the Ministry of Interior, in the wake of the reshuffle following Nawaz Sharif’s disqualification. Second, in a letter sent to the former Punjab Chief Minister, Shahbaz Sharif, before the elections, the former Chinese Ambassador to Pakistan, Sun Weidong, expressed his appreciation for the support received by Shahbaz Sharif, who was addressed in the letter as a ‘dear friend and brother’. China’s close ties with the PML-N do not necessarily imply that the situation will change dramatically under the new government. After all, Sino-Pakistani are based on a broad-based consensus in Pakistan which encompasses all major political parties as well as the military. As such, we are unlikely to see any major shift in the cornerstone of Pakistan’s foreign policy, also considering Imran Khan’s close relationship with the Pakistani Army and the latter’s sway on foreign policy. One week before the July 25th elections, the PTI had formed the “Pakistan-China cooperation unit” to facilitate coordination with China and, in Chapter 7 of the PTI Manifesto, the document mentions that one the main aims of the party will be to “expand the existing strategic partnership with China”. However, the PTI has proved to be a tougher partner to convince about the benefits of CPEC than the previous government. It has been more cautious in embracing China. Xi Jinping’s visit to Pakistan was delayed in 2014 because of the dharna (sit-in) staged by the PTI in the summer-early autumn of that year. In addition, the PTI was one of the opposition parties vocally expressing its concerns regarding the China-Pakistan Economic Corridor’s route. In February 2016, Imran Khan and the then Chief Minister of Kybher Pakhtunkhwa, Pervez Khattak, visited the Chinese Ambassador to convey their reservations over CPEC. Finally, before starting a sit-in against corruption in November 2016, Imran Khan had to reassure the then Chinese Ambassador that the protest was directed at the government and not against CPEC. These instances demonstrate that beyond the formal exchanges in the immediate aftermath of the elections, some challenges lie ahead. The first pressing issue that new government will face is the country’s financial situation. Asad Umar, who according to some reports is likely to be Pakistan’s Minister of Finance under the new dispensation, warned that “the crisis is so severe and requires measures so urgent that no option can be ruled out”. Among the options, one is an International Monetary Fund (IMF) bailout, which China has made clear it dislikes as it could mean disclosing the details of the CPEC deals. To this end, according to news reports, China has recently lent Pakistan USD2 billion in order to prop up the country’s foreign exchange reserves and to ease pressure over the next government. Beyond the Pakistani context, having Pakistan, the country in which the “flagship project” of the Belt and Road Initiative is being developed, under an IMF programme would send negative messages to the other countries involved about the potential risks of getting involved in the BRI. While the decisive shift in Pakistan’s foreign policy away from the US and increasingly closer to China has now largely taken place, an IMF programme in the country would bring back, at least to some extent, the US into Pakistan’s calculations. Finally, it will be interesting to see how the PTI manages to combine the transparency drive that has paid great electoral dividends, with China’s desire to keep the financing details of CPEC as confidential as possible. Before the general elections, Chaudhry Fawad Hussain, the PTI’s spokesperson, argued that “deals like the Orange Line cannot be secret,” further adding that the PTI was in favour of CPEC but that would propose that all agreements should go through parliamentary review. Filippo Boni is a Teaching Fellow in International Relations at the University of Birmingham and a Visiting Research Fellow at the University of Nottingham Asia Research Institute. His research focuses on South Asia, with a specific focus on Pakistan and on China’s engagement with the sub-continent. He is currently working on his book, under contract with Routledge, on Sino-Pakistani relations in the post 9/11 period. He tweets @FilippoBoni1. Image credit: Wikimedia Commons. Back to the future: Old friends and rivals returning in Malaysia’s ‘new’ foreign policy direction?